Plus a small pebble on top of her head. She’s at a mineral lick in Hwange National Park, Zimbabwe, home to the Presidential Elephants. There are eight elephants in this picture; they fill the entire background. What looks like a small bite is gone from her ear. 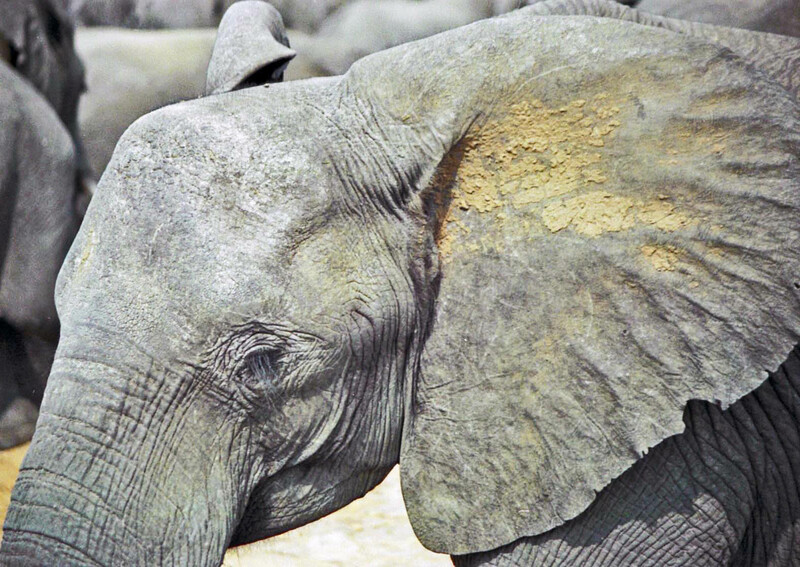 Elephants often have ragged edges on their ears, torn by branches and thorns.